VIP Industries, the second largest luggage manufacturer in the world, is using the theory of constraints to improve its profits, reports Ritwik Sharma. 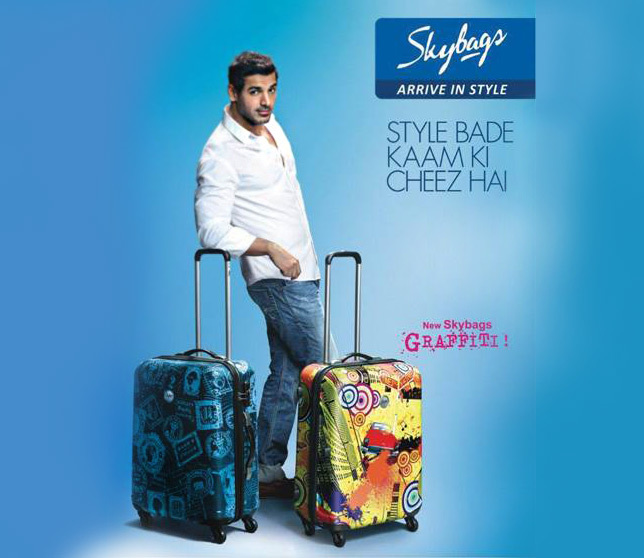 India’s leading luggage maker VIP Industries has sharpened its focus so as to not lose relevance as newer players gain ground in recent years, by catering to specific segments with its standalone brands. As it pushes forward the ongoing revamp in the branding of Aristocrat -- it has just launched an advertising campaign with its new celebrity endorsers, cricketers R Ashwin and Rohit Sharma (above) -- the company has aligned this exercise with a manufacturing model dictated by sales performance rather than efficiency of production. According to Sudip Ghose, vice-president, sales and marketing, VIP Industries, the company follows a concept called the theory of constraints when it comes to manufacturing. “Our production is linked to our sales. If we sell one piece, we produce one piece. It’s linked from the front to the back end. So, we forecast for a new brand and, once sales kick in, typically in two months’ time which we call norms, production happens basis the norms. “Whichever brand is doing well, we will produce more of that. VIP Industries, which was set up in 1971, has four factories which together produce nearly five million pieces annually, making it the second largest luggage producer in the world. It moved from a primarily forecasting-based model to the one based on theory of constraints about a year and a half ago. “The new model works on specific norms and algorithms which trigger production leads based on sales of a particular stock-keeping unit. With the theory of constraints, you don’t produce what you don’t sell, your non-moving inventory comes down drastically and cash doesn’t get blocked in what we call bad inventory, and that has helped us a lot,” adds Ghose. While the company did not share specific figures on how the two models translate into sales figures, Ghose points out that, in case of Aristocrat, the brand has grown by about 53 per cent till March this year since its relaunch last November. Harminder Sahni, founder and managing director of Wazir Advisors, says while a model based on the theory of constraints may not be the norm, more and more manufacturing companies are moving towards it. “Earlier, you used to sell what you manufactured. Manufacturing efficiencies decided what you would manufacture, and the sales team would sell and distribute it. By the time information in terms of what is sold reaches the manufacturing unit it would be a few weeks. Such a model becomes critical when one has a large number of SKUs, and the eventual aim should be to strike a balance between manufacturing and speed of sales. Sahni explains how a particular design may have gone out of fashion for six months before a manufacturer stops producing the item. But real-time data helps plan according to what sells. VIP holds a share of 55 to 58 per cent in the organised ₹2,500-3,500 crore luggage market in India. As Ghose points out, Aristocrat has moved from a primarily hard luggage-oriented brand with an equal ratio for soft luggage to one where modern light-weight luggage comprises 80 per cent of the products. The company has introduced price points for as low as ₹500 for Aristocrat. And, in line with this, VIP has introduced an exclusive range for e-commerce, thereby creating new distribution channels with strong focus on online and hypermarket. “Distribution is giving us additional customers and channels, and product is giving us additional categories,” adds Ghose. Why are large-cap stocks looking attractive now?